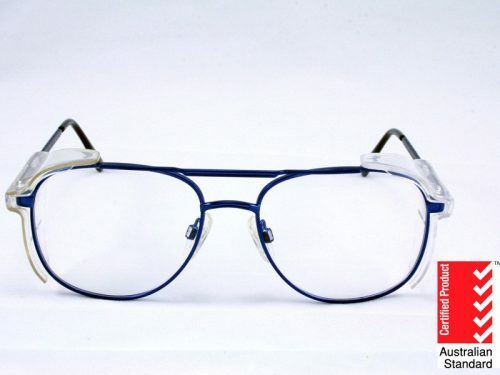 The Eyres Optix 172 is a spectacle styled pair of certified medium impact prescription safety glasses, with a flat frame front to suit the majority of prescriptions and lens combinations. So those that have previously had difficulty with distortion of their vision in a wrap around frame this could be the frame for you. It has stainless steel construction and is available in 3 sizes. 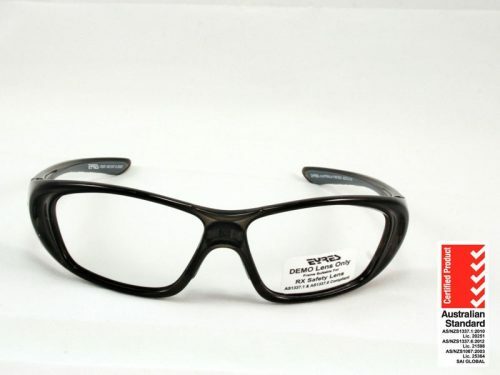 Eyres Optix 172 safety glasses, are styled much like normal glasses, with a flat frame front to suit the majority of prescriptions and lens combinations. 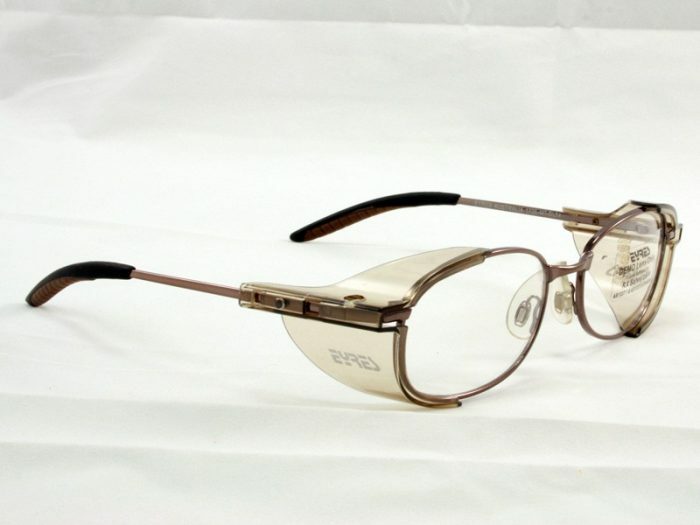 It also has a comfort bridge so it feels more like wearing a plastic sunglass style of frame. It has welded on side tinted side shields, to alleviate side glare, these also improve the overall appearance of these safety glasses. The contoured rubber temple tips have been added to increase the grip behind your ears. 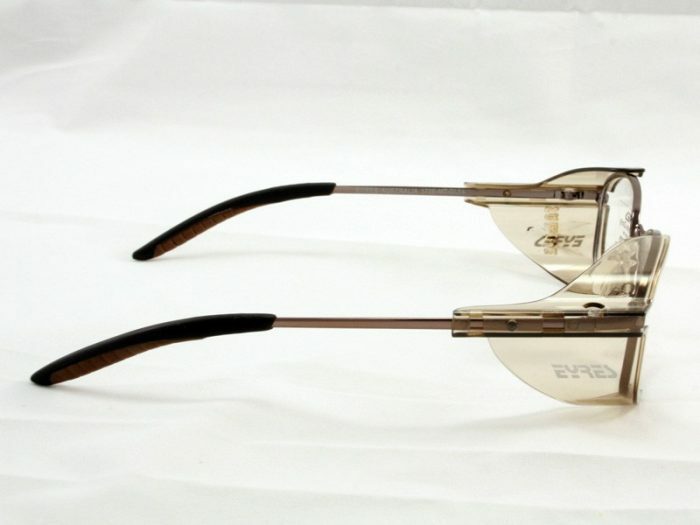 The Eyres Optix safety glasses frame has a rounded/square shape to the frame front and is stainless steel in construction for increased endurance. 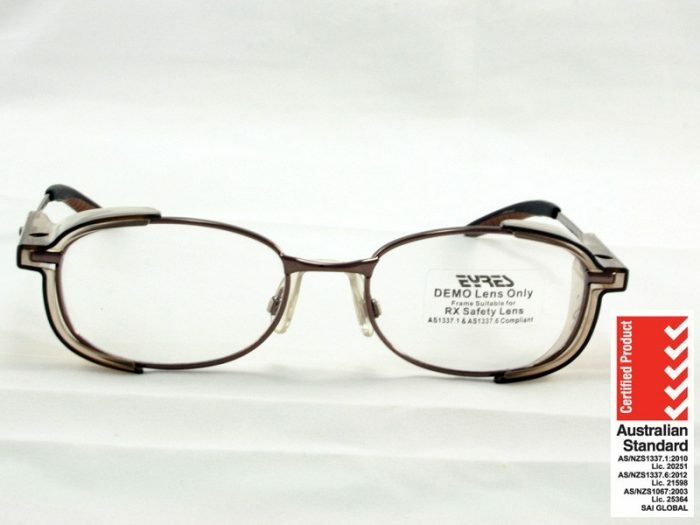 It is the perfect option if you are after for a more traditional style pair of prescription safety glasses. As this frame has a flat front for the lenses, it is suitable for a large range of prescription and lens types – just about anything. It is available in a 52, 54 and a 56mm eye size (which relates to small, medium, large eye size). Please indicate which you would like when you are placing your order. It also has anti-slip rubber temple tips to help keep the frame on your head and a saddle bridge for wearer comfort. Though you can always change the bridge nose pads for the more traditional type, if you prefer. 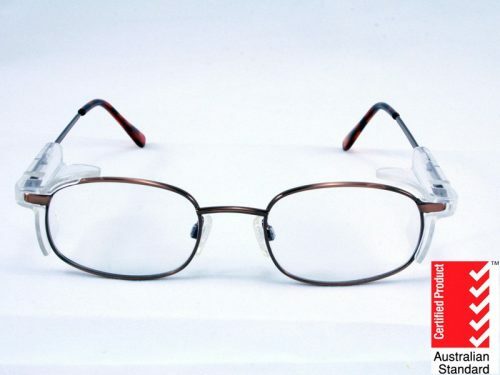 This frame is the obvious choice if you are just starting to wear progressive lenses, have a higher prescription or have previously had problems with distortion while wearing a wrap around frame. 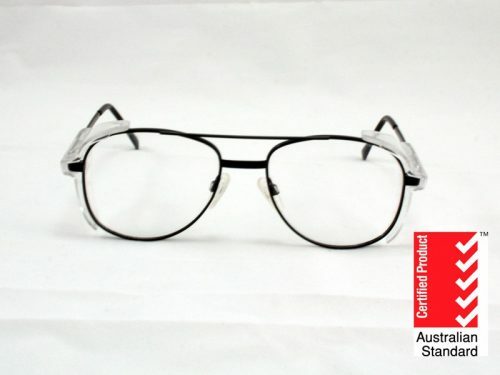 The listed price includes prescription single vision certified safety lenses, safety frame, safety certificate, a hard case and cleaning cloth. Along with Shipping Worldwide.